Santo Domingo – August 12th 2016. Within the organization of El Sistema, a núcleo is a music teaching center. Our first núcleo will soon be opened in the heart of Santo Domingo’s Colonial Zone (intra-muros). Located inside a historic two story building, it will ensure that the children and the group works study in the best conditions. The classes will first be dedicated to choral singing, then followed by string instruments and flute classes. 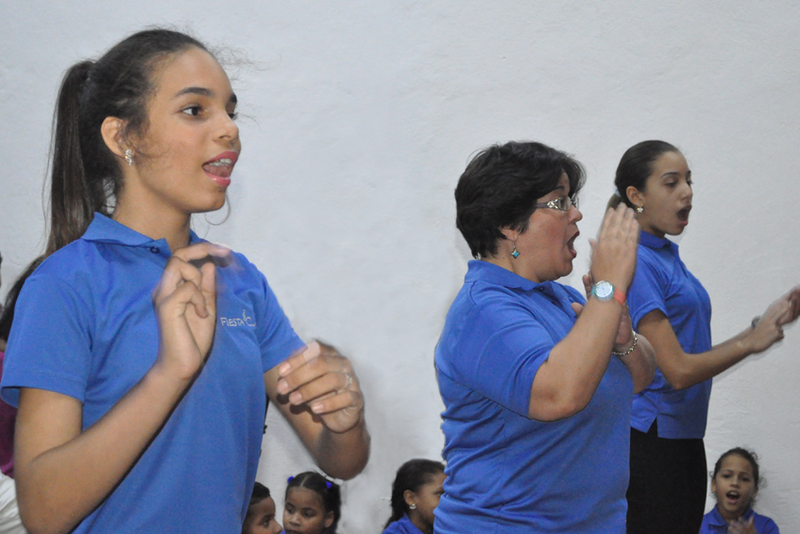 The selection of the teachers was undertaken with the assistance of Lourdes Sánchez, choirmaster at El Sistema of Venezuela. Many children of the Colonial Zone are currently engaged in the registration process and the first selection tests will be held soon. next post: Nuestro primer cargamento de instrumentos.